27 January is the day for everyone to remember the six million Jews murdered in the Holocaust, and the millions of people killed by Nazi Persecution and in subsequent genocides in Cambodia, Rwanda, Bosnia, and Darfur. 27 January marks the liberation of Auschwitz-Birkenau, the largest Nazi death camp. 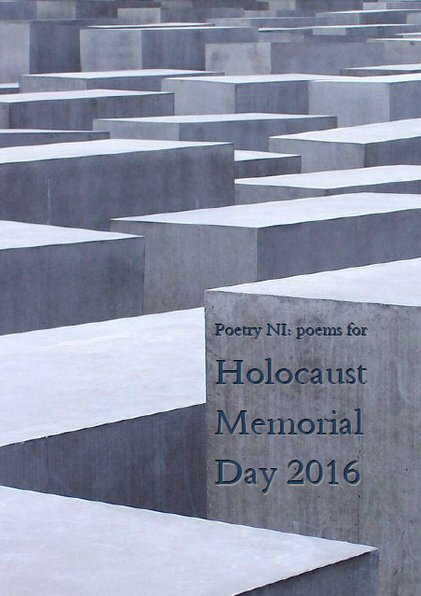 Poetry NI marked Holocaust Memorial Day 2016 with the release of a free online anthology of work by poets throughout the whole of Ireland, reflecting on issues that remain as poignant and as relevant today as ever. I'm delighted to have a poem of mine included, When I Returned, from my collection Asking for Directions (Doghouse, 2012). Other poets appearing in the anthology are: Trevor Conway, Karen J. McDonnell, Paul Jeffcutt, Shane Vaughan, Stephanie Conn, Colin Dardis, Brendan McCormack, Alice Kinsella, Therese Kieran, Michael Conaghan, Ciarán O’Rourke, James Meredith, Geraldine O’Kane, Glen Wilson, Peter O’Neill, Moya Roddy, Emma McKervey, Raisea Dé Murchú and Yvonne Boyle. I'm delighted to have my poem, Brain Scan, included among the shortlisted poems for this award. Some well-known names there both in the prose and poetry. Looking forward to the Awards evening and the launch of the 2016 WOW! Anthology on February 26th in Galway.